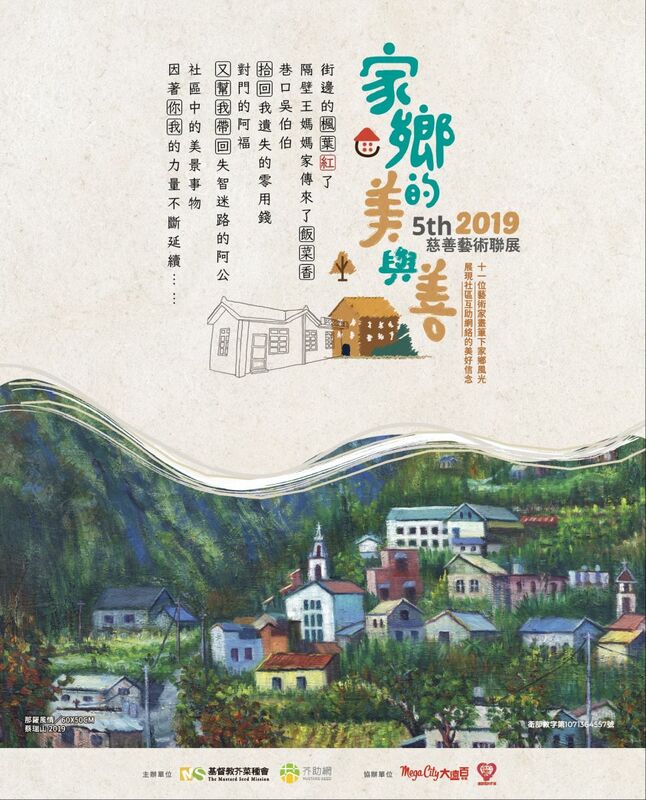 The founder of The Mustard Seed Mission, Mrs. Lillian R. Dickson, started providing services with her medical group in mountains since 1948 by trekking over high mountains by foot into aboriginal tribes in Hualien, Taitung, and Pingtung. For her great devotion to the aboriginal, Mrs. Dickson was named "The Mother of the Aboriginal". She then also became the pioneer who deeply cultivated charity jobs in Taiwan. At the time, the medical condition was poor and inadequate, and many newborns died prematurely. Mothers who had been expecting for nine months only had short happiness of cuddling their newborns. Mrs. Dickson established Taiwan’s first maternity ward in Hualien-"Room for Mary" and following in Guanshan Taitung and Puli Nantou which saved many newborn lives. 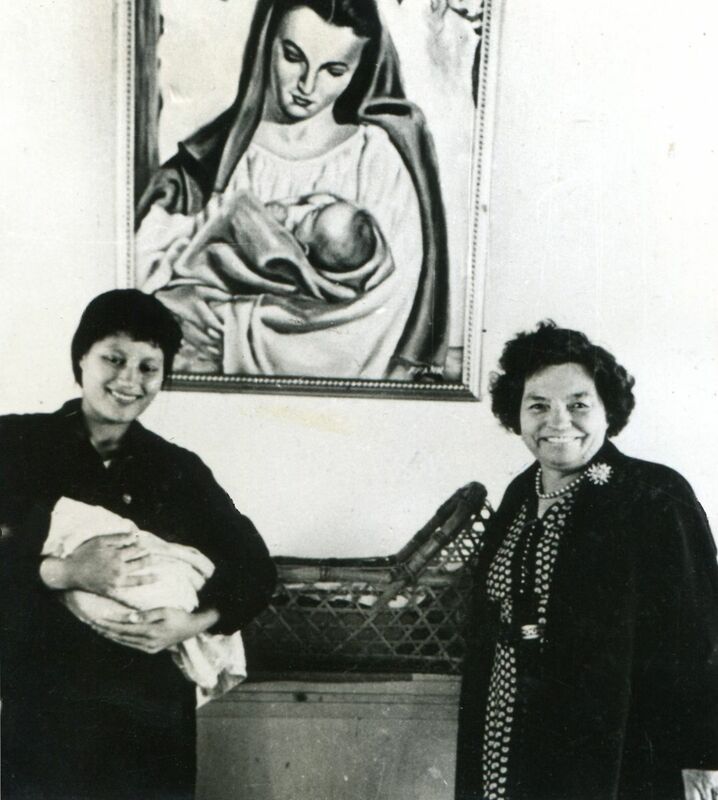 Mrs. Lillian R. Dickson (Right) visiting lying-in women at Room for Mary. 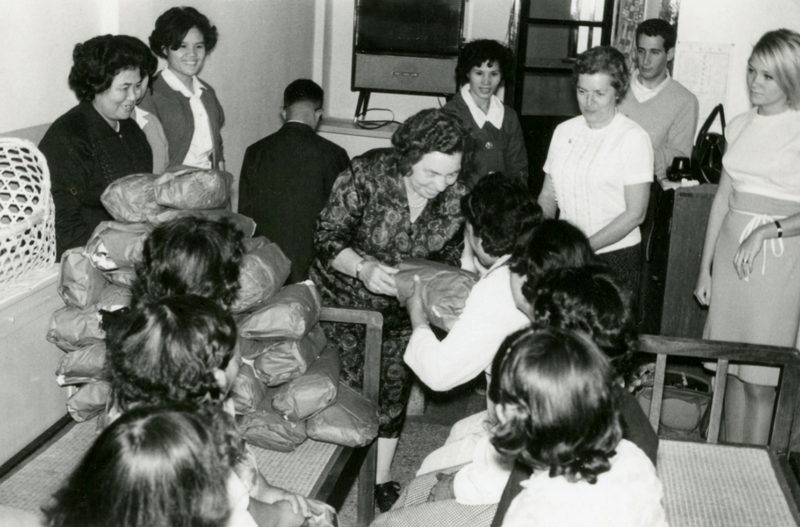 Mrs. Dickson distributing baby kit bag to aboriginal mothers at Room for Mary. Mrs. Dickson then started schools for the aboriginal in mountains to cultivate talents. She also built up clinics in 1956 by combining local resources such as using bamboos grew locally in Puli. Furthermore, she established care centers of pulmonary disease in Hualien, Taitung, and Pintung…etc. She brought education, medical and gospel into aboriginal tribes. Apart from above, Mrs. Dickson successively trained talents to serve in churches who then also followed her steps and became excel in evangelization and helping people. "If you have faith, you can do anything like a mustard seed," said Mrs. Dickson. This year is the 36th anniversary of Mrs. Dickson's death. We thank God for once bringing this beautiful angel to nourish the land of Taiwan. She founded Mustard Seed Mission-Taiwan's first registered social welfare organization. Her love crossed mountains and oceans. Mustard Seed shall hold the founder's spirit and keep lighting lives of the ones in need.